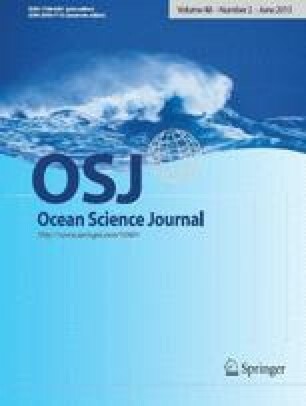 A study of estuarine flows during a neap tide was performed using 13-hour roving acoustic Doppler current profiles (ADCP) and conductivity-temperature-depth (CTD) profiles in the Altamaha River estuary, Georgia, U.S.A. The least-squared harmonic analysis method was used to fit the tidal (M2) component and separate the flow into two components: the tidal and residual (M2-removed) flows. We applied this method to depth-averaged data. Results show that the M2 component demonstrates over 95% of the variability of observation data. As the flow was dominated by the M2 tidal component in a narrow channel, the tidal ellipse distribution was essentially a back-and-forth motion. The amplitude of M2 velocity component increased slightly from the river mouth (0.45 m/sec) to land (0.6 m/sec) and the phase showed fairly constant values in the center of the channel and rapidly decreasing values near the northern and southern shoaling areas. The residual flow and transport calculated from depth-averaged flow shows temporal variability over the tidal time scale. Strong landward flows appeared during slack waters which may be attributed to increased baroclinic forcing when turbulent mixing decreases.